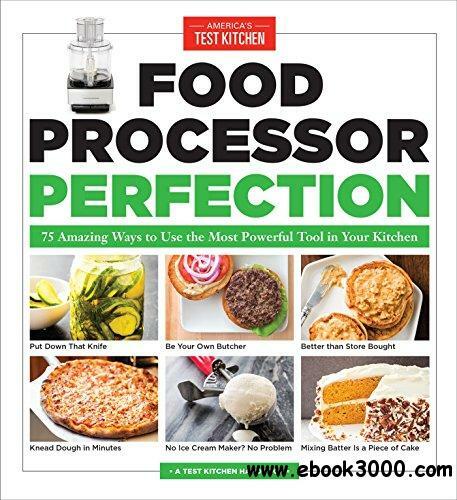 America's Test Kitchen unleashes the potential of what a food processor can do with an eye-opening collection of 75 kitchen-tested recipes to make your cooking easier, faster, and better. Your food processor is a powerful tool but is often relegated to only a handful of tasks. We have always felt the food processor was underutilized and so we've set out to create a book that harnesses this appliance's capabilities as never before, from almost-no-bowl baking to multi-step dishes like stir-fries where all the slicing and chopping happens in the food processor. The result is a book of 75 smart ideas where the food processor is the star of every recipe. It will transform how you use this appliance, streamline everyday cooking and baking, and open doors to projects you would never have considered tackling by hand.